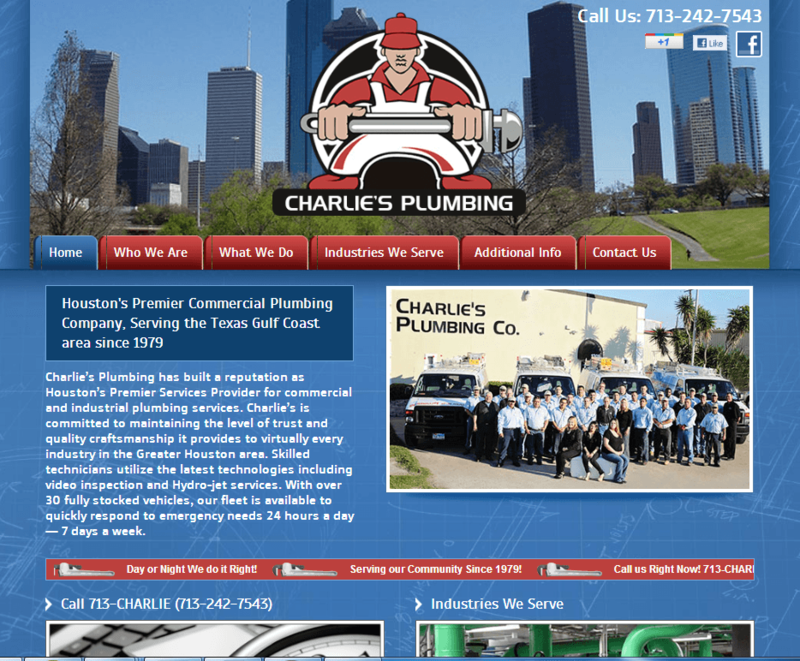 The Problem: Charlie’s Plumbing is a large, well-established commercial plumbing company serving the Houston, Texas area. Their existing site not only failed to adequately represent their size and professionalism, but it was flash-based, rendering it invisible to search engines and extremely slow to load. 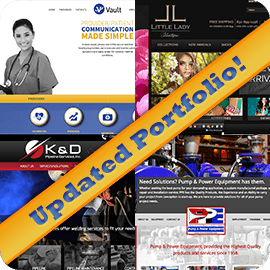 Our Solution: We created a new, custom site with the functionality and features Charlie’s needed. The design maintains consistency with their brand, prominently features their 24-hour service (with a contact number), and is built on WordPress, so the site is easy for Charlie’s staff to maintain. An interactive map – using Google Maps — is included in their Service Area information on the What We Do page. 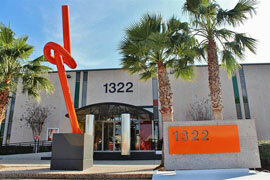 The new site better reflects the company’s level of service and professionalism and is more user-friendly for visitors. Additional Services: Search Engine Optimization, social media marketing, logo vectorization, marketing material design and print.